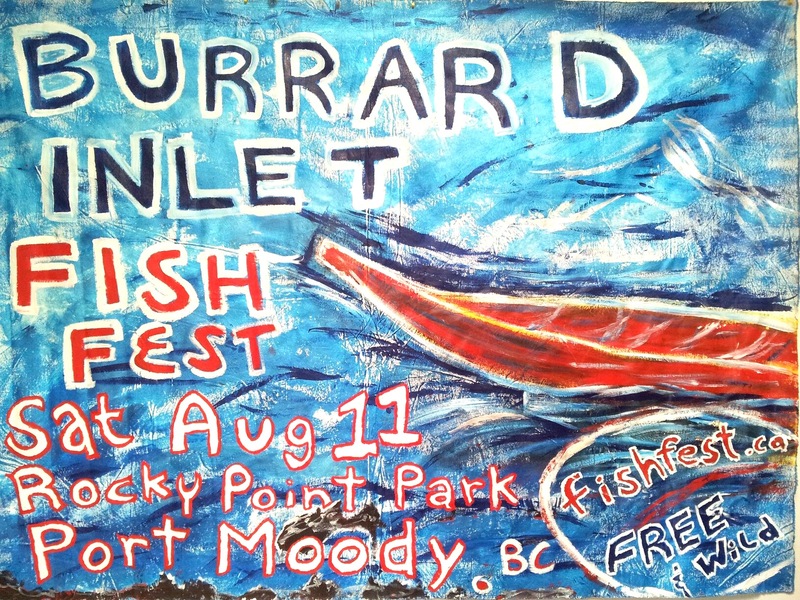 The Burrard Inlet Fish Fest is a multidisciplinary arts and cultural experience that celebrates the aquatic ecosystem of the amazing waters that surround us. Port Moody has a diverse history that showcases a once industrial town and western terminus of the railway coupled with a diverse ecosystem. Join us for events throughout the Tri Cities as local and visiting artists share their gifts of live musical performance, art creation, and creative workshops at Rocky Point Park in Port Moody, August 11. Excerpts from our official approval from the City of Port Moody, received May 31, 2012. This letter is to confirm that permission is granted to use Rocky Point Park and stage for the Burrard Inlet Fish Festival on August 11, 2012. One day festival on Saturday, August 11, 2012 from 11 am to 8 pm plus reasonable time allowed for set-up. Every effort should be made to have clean-up completed by 9:30 pm. The purpose of the event is to promote community engagement and dialog about sustainability and environmental awareness through musical performances, art and educational exhibits and speakers. Stage performances will consist of community appropriate performances (i.e., no profanity) musical performances, welcoming activities and educational speakers. A First Nations canoe arrival is planned for the morning, those details are being finalized. Two rows of exhibitors (artists, environmental organizations, etc) will be set-up along the pool fence line. As outlined in the site plan submitted to the city with the application. Local environmental stewardship groups will be invited to participate/exhibit at the event. The event is free to the general public and donations for attendance will not be solicited.